Don’t get stuck with messy products to clean up in spring! 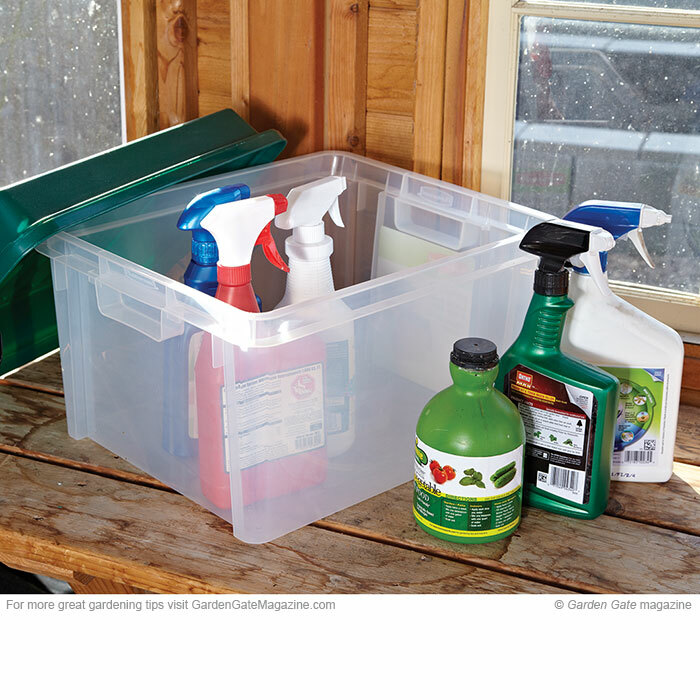 Prevent leaks and make it easy to move chemicals and fertilizers indoors for winter by storing them in a plastic tub. A durable container with a lid, like the one here, will keep moisture out until you’re ready to use your products again.